Including BOTH an RFID Reader/Writer AND a professional 2D+1D Barcode Scanner ! 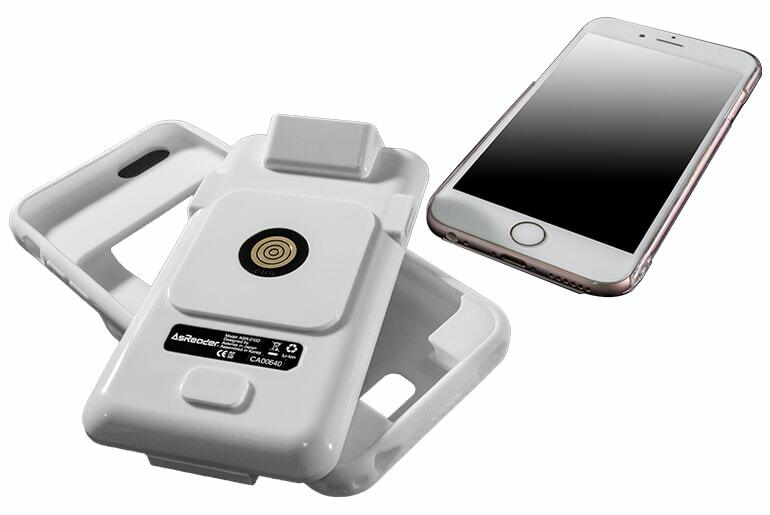 In one compact, pocket-sized device that fits: iPhone® 5/5s/SE, 6/6s/7, and iPod touch® 5th/6th Generation. Support for Type-A, Mifare Ultralight / Desfire, ICODE SLI / Tag-it, ISO14443A, ISO15693, Felice, Delice(S888), and more.